Today me & boi boi went to The One Kopitiam to have lunch. It was near and since it was lunch hours, it was really jam pack with no car parks in sight. We manage to find one next to this shop, hence the reason we decided to have lunch there. It's our first time too. boi boi had teh tarik ais. 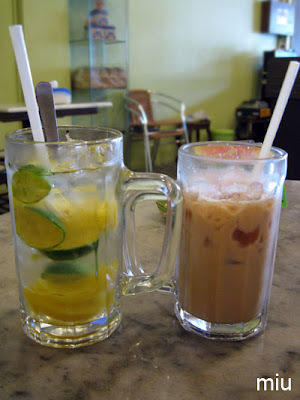 The pricing seems reasonable for meals below RM10-00 (Cafe Price) and drinks from RM2-00 onwards. 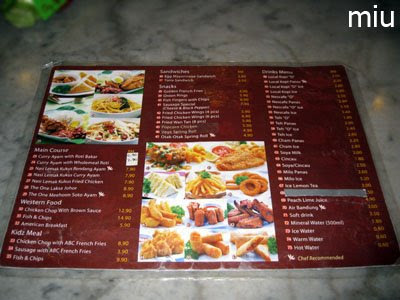 They serve local dishes with a limited number of western meals. There's also breakfast sets until 11am. On the table, there's a special menu for the day - Nasi Lemak Kukus with Mutton Rendang (sounds good so we settle for this!). our mouths were salivating from looking at the pictures in the menu. Overall I would say the nasi lemak kukus here is delicious. The sambal is not spicy but rather the sweet type and the mutton rendang is delicious but the portion is little (it's being smashed into tiny bits thus making the whole lump on my plate look bigger than it actually is). 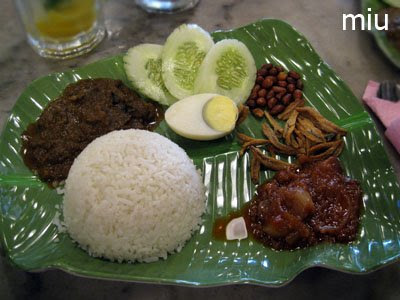 The rice is unusual as I don't come across that many nasi lemak using tiny grainy rice. It didn't bother me, but it bothered Boi Boi. grroowwl.. the rice is so grainy.. it bothers me when I am eating!! Well don't let Boi Boi change your mind about this place yes? The ambiance is alright looks like those up and coming kopitiam themed shops and service is ok. I would go back for more nasi lemak kukus but not with mutton rendang. Business Hours: 8.30am to 9.30pm (Monday to Saturday) and from 8am to 5.30pm (Sunday). 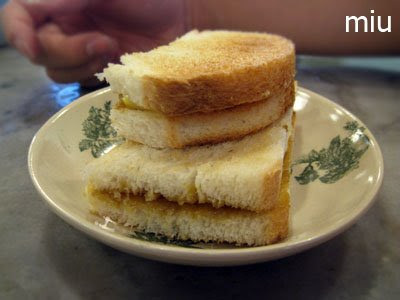 yah it is regular food mah..
well, you know our miu lah. she only pays premium for regular foods, otherwise no class enough, hahaha. we are regular people mah, of course eat regular food lah. ar... u know very hard get cheap food in ttdi T_T this call ok liao u know..
"grroowwl.. the rice is so grainy.. it bothers me when I am eating!!" I didn't say this at all.